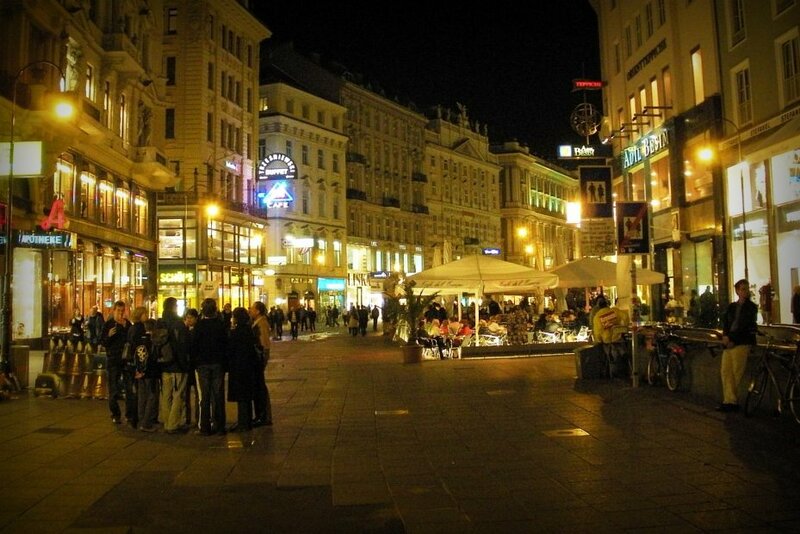 If you’ve ever been to Vienna, then you get a high-five – simply because it’s an awesome city. Back in the fall of 2008, my wife and I spent 2 days there with her sister and brother-in-law and could have easily spent 2 weeks. There is just so much to do. When walking around the old streets, there’s a sense of epic-ness, hinting at the amazing history of this eastern most western European centre. Arriving in Vienna after a 4 1/2 hour train from Prague, we quickly made our way to our hostel so we could unload our packs and get out to explore. Unfortunately, the low cost of beer made us stick around the hostel for a couple hours playing life size chess in the courtyard. Eventually, we checked out imperial palaces, roamed the traffic-free city centre, and had some Viennese coffee in the world famous Sacher Cafe. I don’t drink coffee, so I just ate cake, but my wife said it was good. We had planned on attending an opera at the Opera House, but arrived far too late and were out of luck, so we opted to eat a whole pizza followed by gelato on a nearby patio. We also ate some of the best schnitzel known to man at one of several available schnitzel houses. Below are some photos I took of Vienna. 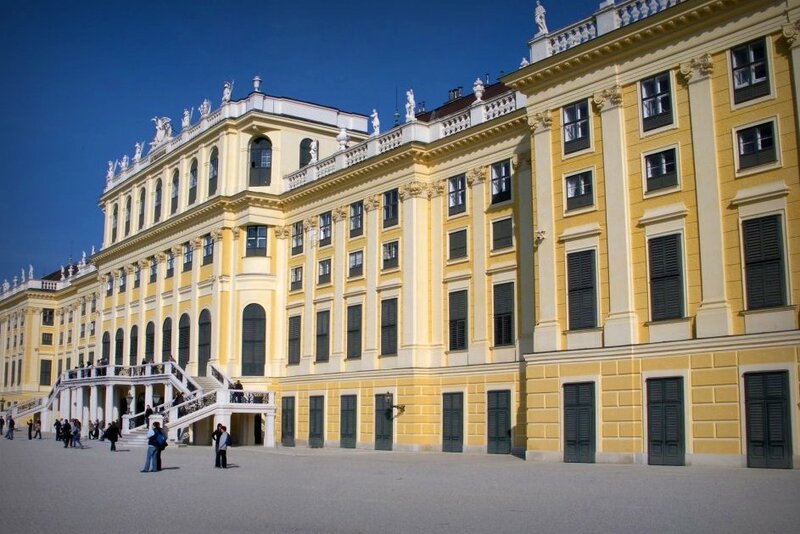 The first being the Schönbrunn Palace which was the summer residence of the Habsburgs. With over 1,400 rooms, it was the largest summer home I’ve ever been to. This next photo is one of the many streets in the old centre at night. I simply like it for its colour and clarity. 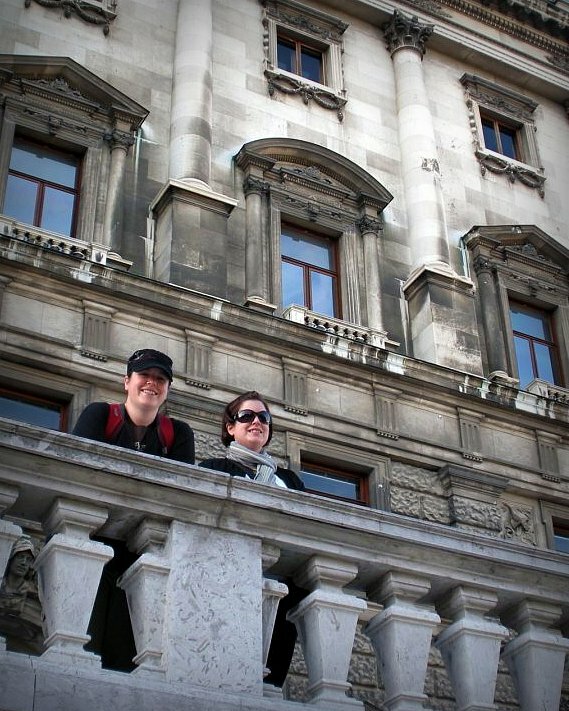 This last photo was taken after we finished snacking at the cafe and were mocking some of the fancy pants people strolling around the Habsburgs main residence. Can you tell these ladies are twins? Stunning. I love the first one – it has a great right to left line. The second one is surprisingly sharp for a handheld shot. Well done sir! Thanks Mike. These were all taken with my Nikon Coolpix in auto mode, so the camera probably jacked up the ISO for the night shot.